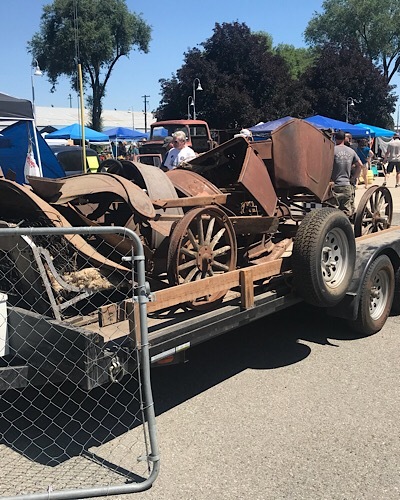 My bud and I buzzed over to the Spokane Swap Meet last Thursday, Friday and Saturday. While t stuff is becoming less and less but, there was an abundance of t stuff available. Not a lot of brass stuff but quite a bit for black T's. 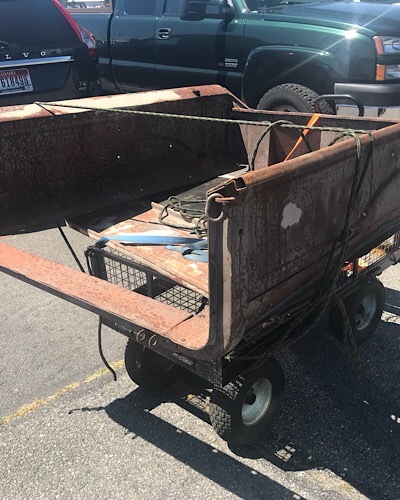 A set of very nice square fellow wheels with new Firestone tires mounted up and ready to put on your T, $400.00 I purchased a 1916 decent louvered steel hood for $35.00. I picked up 2 nice hand Kalxon horns, both work perfectly, $130 for the pair. Bought some tools for the shop and some shop supplies, all in all it was a great weekend. It was hot hot hot, 96 degrees on Friday, but it was bearable with a breeze.